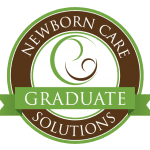 Overnight newborn care is the cornerstone of Sleep Well’s services. Our night nannies assist your family as you transition into life with a new baby or babies – and make sure you get the sleep you need. Our Care Specialists provide attentive overnight care so you can rest. When you’re exhausted and need sleep, we come into your home and care for your new baby at night to help you adjust into parenthood, return to work, or just simply get some rest. Our Night Nannies work from one to seven nights a week. We will develop a schedule that is specific to your needs. For breastfeeding mothers, we can bring baby to you, freshly changed and ready to eat, then take care of burping and getting baby back to sleep. You never even have to leave your bed!